You no longer need to choose between boosting crop yields and controlling operating costs. LumiGrow Pro™ series lights deliver both benefits with the industry’s two most powerful LED greenhouse lights: the LumiGrow Pro 325™ and the LumiGrow Pro 650™. The Pro series equips growers with LED lights that output more red and blue in the essential PAR range than the industry’s most powerful conventional lighting systems, including any high-intensity discharge (HID) fixture. Peerless in the industry, the Pro 650 light delivers 2X the red and blue PAR of a 1000 Watt HID light while it consumes 40% less energy. The Pro 325 provides red and blue PAR equivalent to that of a 1000 Watt HID light while it reduces energy consumption by a whopping 70%. 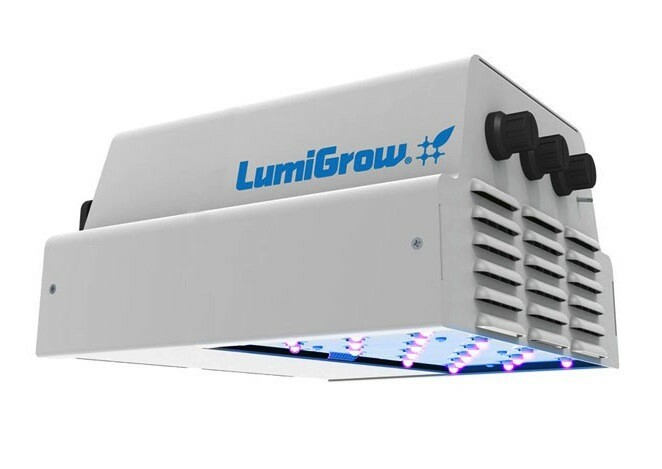 You’ll make the most of your greenhouse or other growing environment because the LumiGrow Pro series provides uniform light distribution without harmful hot spots. In addition, LumiGrow lights run 70% cooler than high intensity discharge (HID) lights, eliminating plant damage and problems related to unmanaged greenhouse temperatures. Hot-running HID lights stress plants as evidenced by high water and nutrient demand. By contrast, plants grow safely at any distance from LumiGrow lights. 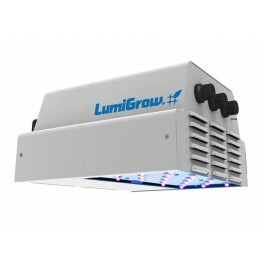 Energy-efficient LumiGrow Pro series lights cost between 40% to 70% less to operate compared to HID lamps. New sites see dramatically lower infrastructure costs because of reduced electrical requirements. LumiGrow lights also eliminate the need for ballasts and reflectors while they minimize cooling loads, accelerating your payback. Growers see electrical bills trimmed by approximately half, month after month, year after year.